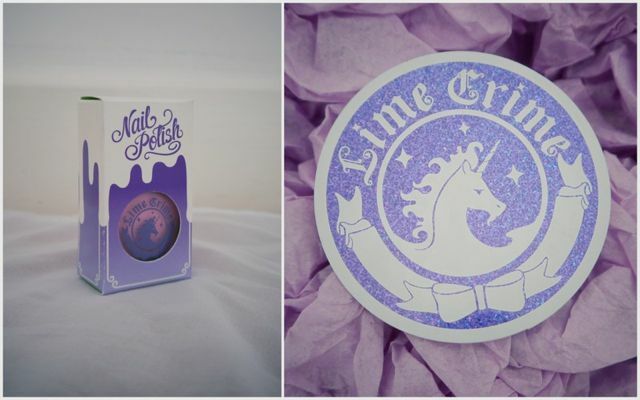 I've mentioned this about a gazillion times on my blog recently, but I LOVE the packaging of Limecrime's items, it's the main reason why I wanted to buy from them and not just opt for a cheaper or similar brand. The nail polish is no exception, it came in a cute little box and the bottle itself is frosted glass with the pretty little Limecrime logo on it, the only complaint I have is that the bottle is a bit smaller than I expected, it's kinda diddy but that doesn't bother me too much as you don't need more than 2 coats. In the box both my purchases arrived in, I got a holographic sticker (third photo) which I was almost as excited about...I think someone needs to calm me down over here. Arghh I'm so annoyed by the way this colour photographs! In reality it's waaaay more of a neon pastel pink, it's seriously bright and definitely makes more of a statement than you can see in the photo. Overall, I love the colour and really you can get away with just one coat which is awesome for pastel shades - I always ended up applying around 4 of my Barry M one! As much as I love the colour and packaging of this 'Parfait Day', it's performance is kinda average. I found that it dried really fast, like super super fast which was a bonus, I hate waiting around for my nails to dry, only to smush them and have all the polish crease up! The only downside I found to this polish is how easy it chips! The first time I applied it I didn't use a topcoat or base coat and it had chipped within a few hours...it is a bit better with a topcoat, I managed to go 2 days with only minor chippage but still...I kinda expected more. Have you tried any Limecrime products yet? Which ones are on your wish list? It's a lovely summery colour! I hate waiting for nails to dry too, I ALWAYS smudge them- so if it dries quickly its defintiely worth it for me! Ooh ive never heard of limecrime before!! Awesome packaging, im a sucker for packaging! 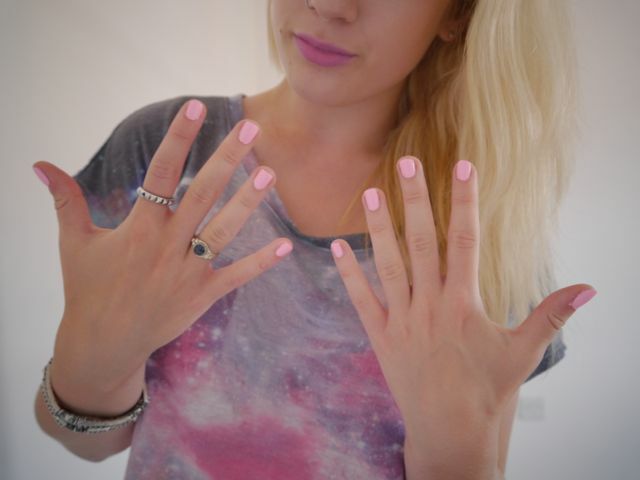 Love the matching soft colors of your shirt and nail polish! the packaging is so cute just like u! I've always wanted to try out a Limecrime product. The colour of this nailpolish looks amazing! 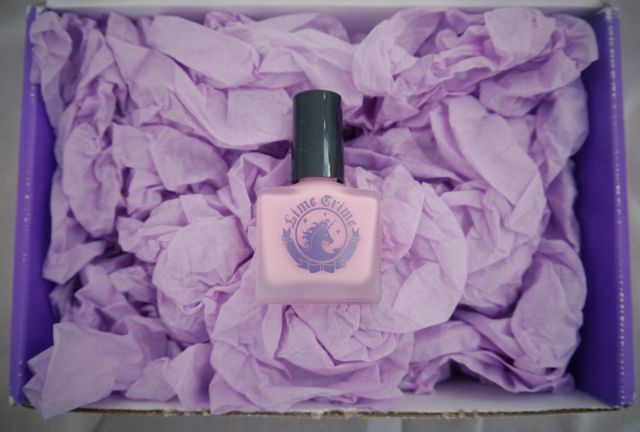 This is such a pretty colour, i'm a sucker for pink polishes like this :3 the Limecrime packaging is so adorable! it's gorgeous! i love limecrime, the colours are so unique and i think it's awesome they don't do any animal testing. and i looove the crazy lipstick colours!